Rhyncholestes raphanurus Osgood, 1924, Chiloe Island, Biobio, Chile. French: Caenolestide du Chili; German: Chile-Opossumaus; Spanish: Comadrejita trompuda. Head and body 4-5 in (10-13 cm) long; tail 2.5-3.5 in (6-9 cm); may fatten prior to onset of winter. Female has five or seven teats. 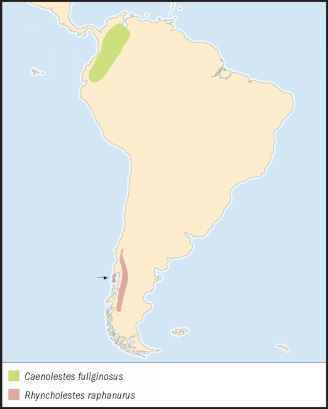 South central Chile and Chiloe Island. Nocturnal, terrestrial, burrows through surface litter; may enter torpor in winter. Insects, worms, and other invertebrates caught by rummaging in topsoil and leaf litter. Not well understood, but females are apparently capable of breeding at any time of year. 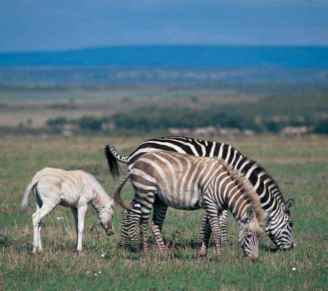 Listed as Vulnerable by IUCN.